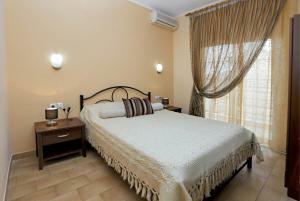 Eva Apartments price per day from € 53 . 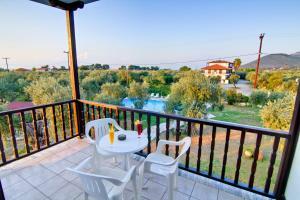 Markos Studios price per day from € 40 . 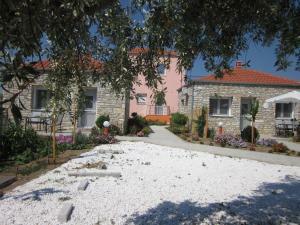 Petra Houses price per day from € 55 Surrounded by olive groves and fruit trees, the stone-built Petra Houses is just a 10-minute walk from the beach and the centre of Potos. 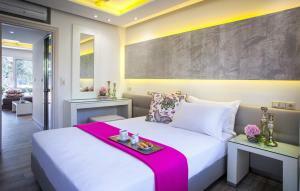 Bedrooms feature anatomical mattresses and 100% cotton linens. A library with Greek and foreign books is provided on site..
Lysistrata Bungalows Set amidst a garden of flowers and willow trees, Lysistrata offers self-catering accommodation on the seafront. Bungalows have private access to Potos Beach and furnished patio. 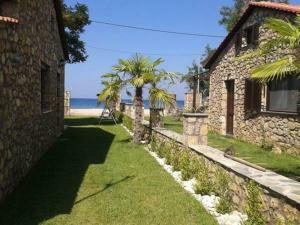 Free Wi-Fi access is available in all public areas of Bungalows Lysistrata..
Stone House Maria A few metres from the beach, Stone House Maria is located amidst a well-tended garden in Skala Mariοn. There is a full kitchen with an oven and a refrigerator. At Stone House Maria you will find barbecue facilities..
Blue Sky Villas Just 200 metres from the beach, Blue Sky Villas is located in Skala Potamias village in Thassos. 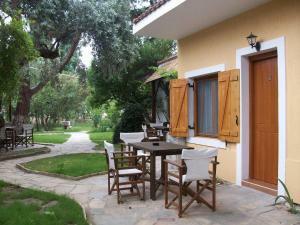 Guests can enjoy the lush greenery and colourful flowers surrounding the property. 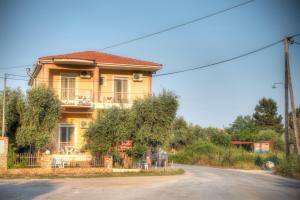 Irini Studios price per day from € 30 . Limenária. 146+ apartments, 4+ villas !